Lenox native James Van Der Zee (1886-1983), was an African-American photographer whose studio portraits and other photographs document the lives of middle-class African-Americans. 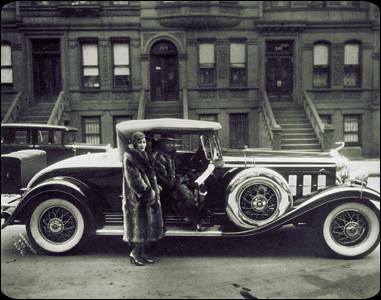 He gained fame for his photographs taken during the Harlem Renaissance, from 1919 through the mid-1930s. Van Der Zee was born on Hubbard St. in Lenox on June 29, 1886. His family lived in a house that was eventually razed to make way for the construction of the by-pass. James and his five siblings enjoyed the rural small-town life in a community that showed no prejudice. Van Der Zee learned how to play the piano and violin at an early age. He attended grammar school in Lenox where he enjoyed painting and drawing. This fostered his interest in photography and he jumped at the opportunity to win a camera by selling ladies’ sachets. By the time he turned 14 Van Der Zee had left school and was working. He took a job at The Aspinwall Hotel as a waiter and with his second camera, was photographing family, friends, and wealthy summer guests staying in Lenox. Van Der Zee had a keen eye and his photography skills quickly developed. In 1905 he left the shelter of the Berkshires and moved to New York. 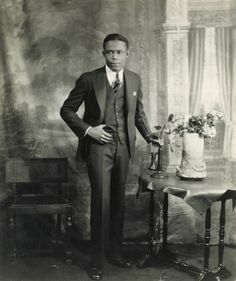 His career progressed in fits and starts but by 1917 he was working out of his own studio, the Guarantee Photo Studio. It was an immediate success. Van Der Zee’s photographs taken during the Harlem Renaissance solidified his reputation as the most influential studio photographer of that time. Using his elaborate hand-painted backdrops he posed families during celebrations and bereavement, in playful and somber times. Decades later his images, part of the Metropolitan Museum of Art’s 1969 photographic exhibition “Harlem on My Mind”, would reach millions of people who had never known of his life’s work.